We are a visual species, if a picture is worth a thousand words, then a picture with words in it must be worth, well, more! And a picture you can write and draw on is worth much more. Skitch turns that thousand word picture into more! Skitch is one of those unique apps (or, if you prefer, utilities) that will become an integral part of your day and it is now available from the same folks who give us Evernote. 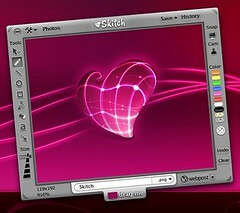 Skitch is basically a screen capture and annotation tool. Take a look at my video — it does a better job in explaining things. I encourage you to give Skitch a try and see for yourself how truly powerful a tool it is. And if you have suggestions for future videos, please let me know in the comments.